நுரைகொள்விக்கிற வேறுமாதிரியான வழிவகை ஆசூச(புனிதத்த்னமையைக் கெடுத்தல்) நிவாரணம். இதரபதார்த்தங்களுடன், புத்தர் மூன்று விஞ்ஞான ஞான ங்களை, அவர் இராத்திரி பொழுதில் அவருடைய முயற்சியினால் அடை ஞானோதயங்களை விவரிக்கிறார். among other things, defines sixteen upakkilesas. உள்ளம் ) தெளிவாக விளக்கி விரித்துரைக்வில்லை ஆனால் ஆழ்ந்து செறிக்கப்பட்டிருக்கிறது. she gives the 20-fold definition of sakkāyadiṭṭhi. seven ‘good qualities’, and which is illustrated by a telling simile. இன்பநுகர்வு மற்றும் ஓர் முக்கியமான இன்னொரு வகை இன்பநுகர்வுடன் ஒப்பீடு செய்து வரையறுக்கிறார். ஞான னோதயங்களை எய்த வேண்டி நிவர்த்திசெய்தல். புலனுணர்வு ஞானேந்திரிய சரம் (புத்தசமய புனித நூ லின் ஒரு பாகம்)- எளிய முதுப்பாடம். பற்றிய தரமான வர்ணனை சொற்றொடரில் கண்டுபிடிக்கப்பட்டதை வரையறுக்கிறார். in the standard description of the Buddha: ‘anuttaro purisadammasārathī’. ஏவங் மே ஸுத்தங்: ஏகங் ஸமயங். வோ பிக்காவே, தெஸஸ்சாமி. தங் ஸுன்னாத, ஸாதுக்கங் மனஸி கரோதா, பாஸிஸ்ஸாமி’தி. பரியாயங் கள் போதிப்பேன். தாங்கள் உன்னித்து கேளுங்கள். method for the restraint of all fermentations. Listen & pay close attention. I will speak. ச கொ, பிக்காவே, மானஸிகரோதொ அனுப்பன்ன சேவ ஆஸவா ந உப்பஜ்ஜன்னதி, உப்பன்னா ச ஆஸவா பஹியந்தி. நொதித்தல்கள் எழும்புவதில்லை, மற்றும் நொதித்தல்கள் கைவிடப்படுகிறது. anuppannā ceva āsavā na uppajjanti, uppannā ca āsavā pahīyanti. .
āsavā vinodanā pahātabbā, atthi āsavā bhāvanā pahātabbā. plant sheds its withered flowers, so also, should you shed passion and ill will. should you shed passion and ill will. 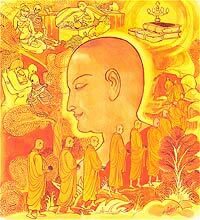 At the end of the discourse the five hundred bhikkhus attained arahatship. the bliss of conditionedness ceased. when emptied it will swiftly go. thus to Nibbana you’ll go. Explanation: One should break away from the five lower fetter. achieved these is described as the one who has crossed the flood. 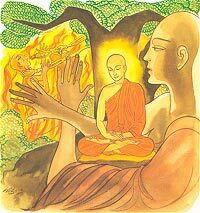 Meditate bhikkhu! Don’t be heedless! Don’t let pleasures whirl the mind! Heedless, do not gulp a glob of iron! Bewail not when burning, ‘This is dukkha’! it will be like having iron balls forced down your throat in hell. not allow it to happen. 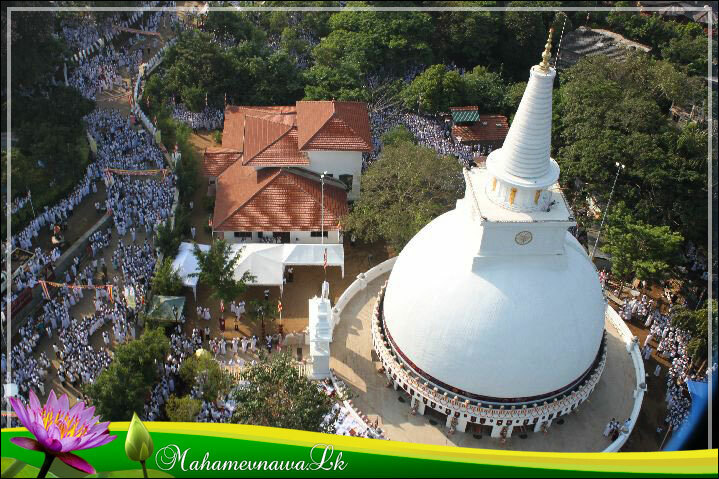 near to Nibbana is that one. Explanation: For one who lacks meditation there is no wisdom. 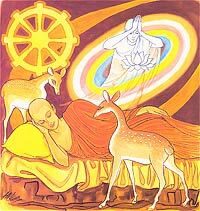 he is close to Nibbana. an ecstasy not known to ordinary minds. one rapture gains and joy. 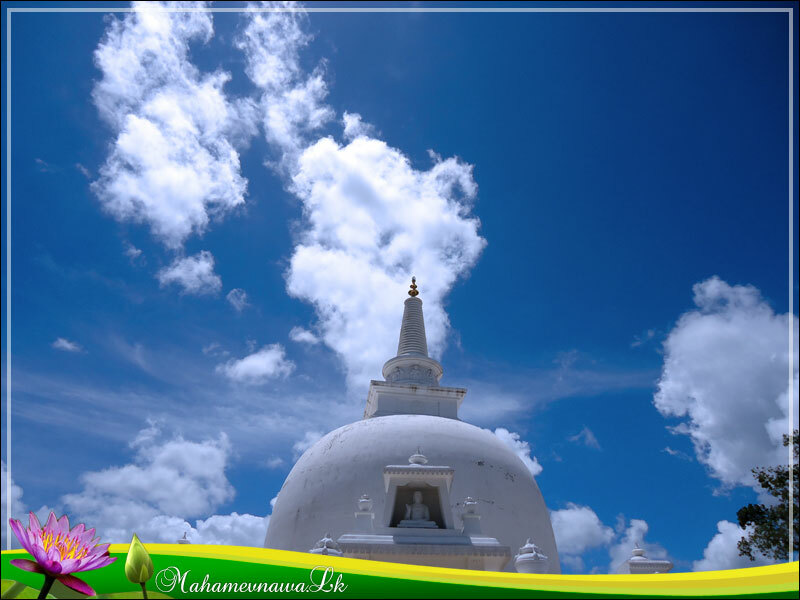 which is a fore taste of Nibbana for those who know it. who’re pure of life and keen. Explanation: One should be courteous and of pleasant behaviour. One should be efficient in the conduct of the proper rites and rituals. to the ending of suffering. ma kandi “dukkhamidan” ti dayhamano. Nibbana — the Tranquil, the Unconditioned, the Blissful. 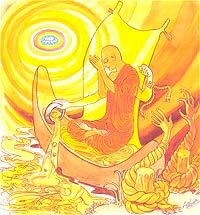 having cut off passion and ill will you will realize Nibbana. 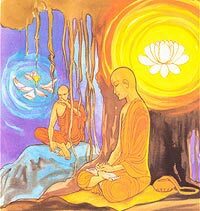 who has concentration as well as wisdom is, indeed, close to Nibbana. experiences the joy which transcends that of (ordinary) men. the arising and the perishing of the khandhas, he finds joy and rapture. 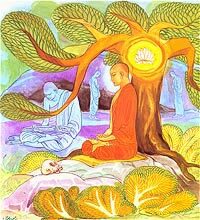 That, to the wise, is the way to Nibbana (the Deathless). 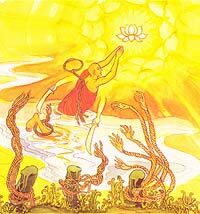 the senses, contentment, and restraint according to the Fundamental Precepts. (of the round of rebirths). will (byapada). These can be got rid of by the first, second and third Maggas. ignorance (avijja). These five can be got rid of by arahatship. ignorance, pride and wrong views. according to the Commentary, in this context, frequently feeling joy. leaving only a maid to look after the house. 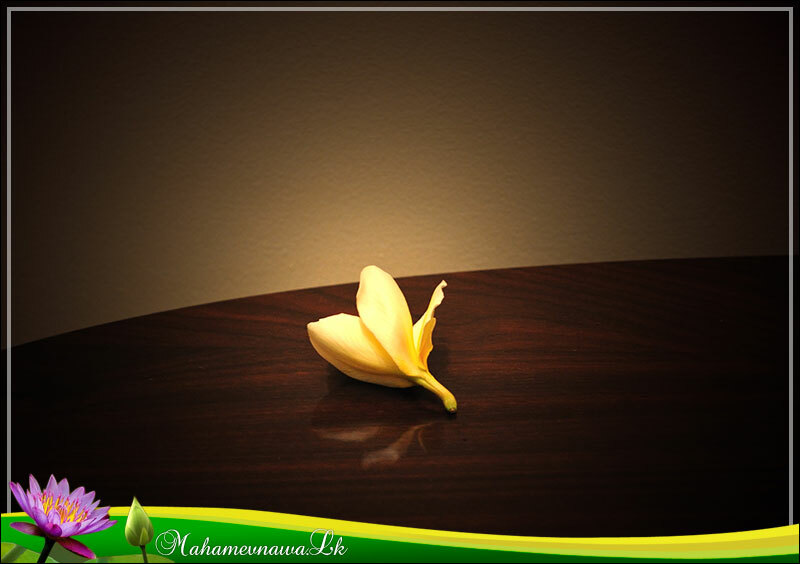 am listening to the Dhamma. You’d better go back.” So the maid went home. listening attentively to the Dhamma. them so that he seemed to be sitting in their midst. 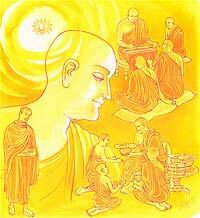 wisdom is, indeed, close to Nibbana. according to the Fundamental Precepts. 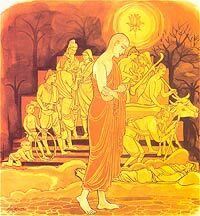 At the end of each verse, one hundred out of the nine hundred bhikkhus attained arahatship.